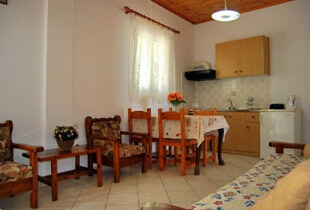 5 km from our studios, and the traditional village of Pelekas only 2 km. for up to 2-3 adults. 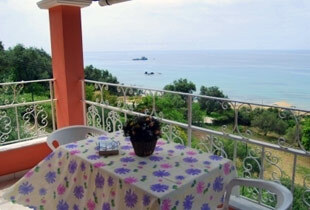 one x 2 bedroom apartments up to 4-5 adults ..
Louisa Apartments / Kontogialos !! 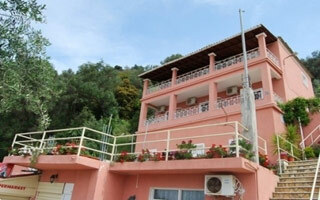 The environment is clean, quite, relaxing, and the owners are very friendly. The family own also a mini market on the same complex. Kontogialos refers to a gulf full of green in the west part of the island.Only14km from the mainport of the island, and is placed to the scrambles of the hill where in the most high part is constructed a traditional village from which one can see the panoramic view and have the possibility to enjoy the sunset and the unique landscape. It’s a known destination for a lot of years for the tourists and the inhabitants. 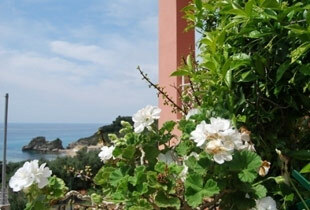 We will be very happy to talk to you and give you all the information you need regards Louisa Apartments and/or Corfu. Please feel free to contact us directly using one of the Reservation Form or the E-mail.